Pock-marked Kenny Lapin lives with his mother in a forlorn one bedroom apartment and sleeps on a fold out sofa. His mother works as a part time receptionist, in which every month is a struggle to make ends meet. Kenny Lapin would love nothing more than to be rich, so that he could be free to do and buy what he wants. He would love to leave the suburban torture of Hayworth and flee to Southern California's eternal summer. Instead he is forced to work at Benny Burger a fast food franchise and earn a paltry wage. There he meets Kahina, a saucy and sophisticated girl who works the register and who he would like to get close to, and Javier with whom Kenny works with in the kitchen to closing time. All of them are tyrannized by a twenty-something assistant manager, Greg Brewster. On the top of Hamburger Heaven hen-picking order is Mel, a complete Panglossian idiot who thinks working at Benny Burger is a chance of life time. When Greg Brewster punches Kenny and Mel out a half hour before they have finished closing, it is a rude awakening to how unfair the working world is. "SO THIS IS YOUR first day!" Greg beamed with a decisive swivel in his chair. Kenny's head nodded like a springboard. Big Greg Brewster leaned back with a sigh and flicked his Benny Burger tie clip. Kenny inhaled and looked around. The white-paneled walls reflected the fluorescent light making the walk-in refrigerator, directly behind Greg, shiny and hard edged. Beside it, the ice machine rumbled with freshly made cubes. The back sink lurked in the corner beyond the ice machine. "Run of burgers," Someone yelled from the kitchen. "I see you're wearing your black pants," Said Greg. He hated the prospect of working in a hot kitchen all summer. Greg moved back and forth in his chair. His round face and twinkling blue eyes reminded Kenny of a Tiny Tears doll. "Everybody knows how hard the first day is." Greg brushed back his mane and continued in his matter-of-fact manner. "Your shoes are all right." Kenny looked down at his black Converse High Top sneakers. Kenny then realized that he will have to fit into Greg's criteria of what is and what isn't appropriate all summer long. Greg gazed down and grinned at the way Kenny's ankles angled out even with high top sneakers. Kenny pulled up his socks self-consciously. A part of Greg felt sorry for this boney and awkward kid. "How many years of high school do you have?" He asked. "I have another year." The rubber bands on his braces tightened and made his dental work hurt. Greg played with the paper clip on the Formica-topped desk. Kenny wondered why Greg was asking these questions. He glanced down at his wristwatch and wished it was time to leave. Kenny hated school as much as the next guy, and, in fact, had no favourite subject, but why not say Biology? It sounded as good as anything else. "I like a man with direction," Greg said fiddling thoughtfully with his nose. He cocked his head and peered directly at Kenny. "Are you willing to work hard for us?" He asked with great concentration. "Yes," Kenny said knowing that was what he had better say. It was almost true and Kenny wanted to earn his money and be his own man. It was the only choice he had. He lived with his mom who worked as a paralegal and his dad lived in California and he only saw him at Christmas. Every month's bills were always an ordeal his mother lamented. Money hampered everything. Money is the thing that makes us all slaves. 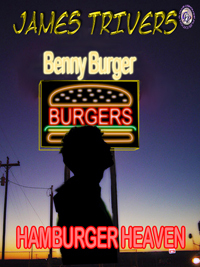 Kenny wasn't looking forward to labouring away the summer at Benny Burger. He had a friend who quit the first day. "Yes," Kenny repeated, more to assure himself than Greg. "Good, because that's what having a job is all about. We expect certain things of you. After all, we are buying your time." Greg said. He liked this kid, even if he did look like Bugs Bunny with braces. Greg was glad he signed him up. "Well, who knows," Greg went on. "You may be quick enough to be a good bun man." Greg motioned for Kenny to follow him. 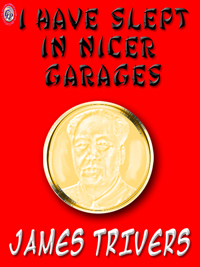 As he trailed behind him, Kenny glanced into the kitchen. It was hellishly hot and hectic. Everyone was in uniform doing some repetitive chore. "Drop twenty pies," Someone yelled. A fat Hispanic kid who looked what he knew he was doing flipped three flimsy burgers at a time. "This way," Greg directed as he strutted between the chrome walk-in freezer and the back sink that stretched along the wall. There Kenny got a whiff of an institutional size dose of ammonia. "You'll like working the late shift," Greg said. Kenny shuddered. "It's not that bad." He smiled as he turned down the metal-tipped steps to the basement. "I don't mind, its summer and I can sleep late." Kenny crumpled his bag closer to his chest. In actuality he hadn't much choice in the matter. When he applied for the job the only openings were the night shift. "I don't care when I work. I need the money." They came to the supply closet which was aluminum and painted gray. Greg took out his ring of keys. "We need as many people as we can get with Benny Day coming up," Greg exhaled. "You mean Benny Burger is coming to this store?" Kenny asked. "I thought he was just on the TV commercials." "Oh no, we are not that fortunate. He comes to the stores too." Greg had a quick smile. "It is our busiest day." Greg opened the cabinet door and sorted through shelves of neatly folded shirts. "What do you take a small or medium? Let's say medium." He pivoted around and handed Kenny a shirt. The shirt was made mostly of rayon so you could easily wipe it off. A patch over the left pocket bore Benny's smiling face with his catsup lips and pickle nose and eyes. Kenny gritted at yet another order. "All right," He said. Kenny slapped him on the back. The bossier he acted the cheerier he became and smiled until his dimples deepened. "Let me show you where you change." Greg pointed to the stairway to the basement beyond the back sink. Kenny trailed behind Greg down the steps. 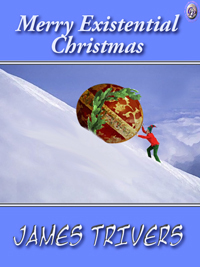 Upon hitting the downstairs, Greg pointed to a door behind the round table in the crew dining room, a sealed in space with a table heaping with crumpled wrapping papers and half-eaten burgers and fries. Kenny opened the door and there was no one was inside. The cinder-block wall was lined with gray lockers. Shoes and shirts were strewn over the beige tiled floor. Kenny sat on a plastic milk crate and unbuttoned his shirt. The room had no windows and reeked rancid of melted butter. Kenny's stomach turned, he was getting fed up already. Kenny found a wire hanger and hung up his plaid green shirt. 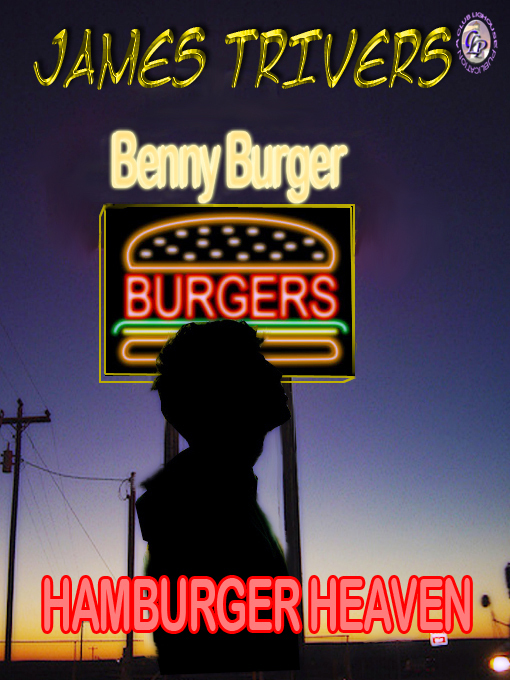 He zipped up the turquoise teeth of his Benny Burger shirt. The shirt ballooned around his waist. He should have taken a small size. He took a cardboard and mesh cap from a stack on top of the lockers and looked in the mirror. He looked like a Benny Burger commercial. "Not just another burger!" He sang like one of those happy-go-lucky asses in one of those commercials. He smiled and there were those braces bridling him from ever getting laid. At least he doesn't have pimples. He consoled himself and cocked the cadet style cap on the side of his head. He glowered at his reflection convincing himself what a pitiful fool he was. No matter where he tilted the hat on his head, he embarrassed himself. Upstairs, a clatter of trays crashed to the floor. The buzzers continually called out to each other like barking dogs in a chain reaction. People were standing in line and more people were driving up. All those hamburgers, each one cooked and put in a bun to be wrapped. Kenny bent over and tied his shoes and wished he was rich.